The Bank Nifty is trading higher at 29,975.85 levels and hit 30,000 mark. Shares of HDFC Bank extended gains for the fifth consecutive session and trading higher in today’s trade. Equity benchmark indices opened higher on Friday led by gains in L&T, HDFC, ICICI Bank, and Axis Bank. The rupee opened 19 paise higher at 68.64 against the US dollar on Friday. On the sectoral front, media and IT stocks are trading in the negative territory, while pharma, banking, auto, and financial stocks gained in the morning trade. The Bank Nifty is trading higher at 29,975.85 levels and hit 30,000 mark. Shares of HDFC Bank extended gains for the fifth consecutive session and trading higher in today’s trade. Shares of MindTree slipped 1% in the morning trade on the NSE, as the board will meet again on March 26, since no decision was taken on proposed share buyback on March 20. 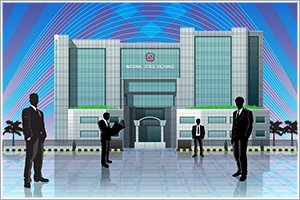 The Sensex gained 156 points to 38,543, while the Nifty rose 45 points to 11,556. The market breadth was positive with 942 shares advancing, 619 shares declining, and 512 remaining unchanged on the NSE. In the broader market, the BSE Midcap index was trading 63 points higher at 15,229, while the BSE Smallcap index was ruling at 14,876, up by 52 points. Airtel, Indiabulls HF, L&T, and Titan are trading higher, while Zee, ONGC, and Adani Ports are trading lower on the NSE. Volatility index India VIX was up 1.55% at 16.28. The most active stocks on NSE are PNB, Reliance Industries, Maruti, and Yes Bank.